Award-winning gospel singer Emmy Kosgei is enjoying life after marriage. The Taunet Nelel hit singer, who got married to Apostle Anselm Madubuko, the General Overseer of Revival Assembly Church five years ago is madly in love. The power couple never shies away from displaying their affection for each other in public despite their age difference. Emmy Kosgei was criticised for marrying an older man and she responded saying she doesn’t regret anything. HE LOVES ME GENUINELY GIVES ME REASON TO STAY IN LOVE WITH HIM. The couple is yet to have a child of their own but Pastor Madubuko has two grown children from his past relationship with his late wife. 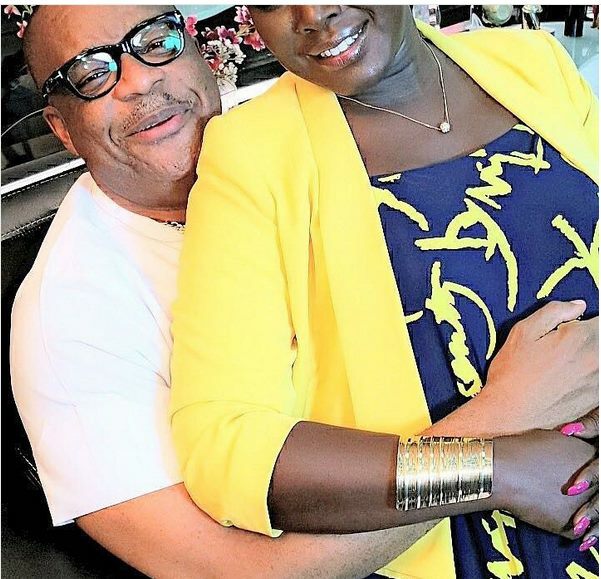 Recently, Emmy Kosgei came under pressure from fans for having a childless marriage and she revealed that she’s not in a hurry to have any. I DIDN’T GET MARRIED JUST BECAUSE I WANTED TO HAVE KIDS. RELATIONSHIPS ARE ABOUT UNIONS AND DESTINIES. IF YOU ARE ATTACHED TO THE WRONG PERSON, IT CAN AFFECT YOUR DESTINY PERMANENTLY. I’M ALSO VERY BUSY BUT YES, I DO HOPE TO HAVE MY CHILDREN SOMEDAY. THIS IS A SPECIAL DAY FOR US #NKEM … I REMEMBER VIVIDLY WHEN YOU POPPED THE QUESTION AND I SAID YESSS.. ITS BEEN 5 GREAT YEARS WITH YOU MA 👑❤ , I LOOK BACK AND I AM GREATFUL I DID! IN DEED 2 ARE BETTER THAN 1 WHEN YOU FIND TRUE LOVE… MY LIFE HAS NEVER BEEN THE SAME AGAIN! THANK YOU FOR SHOWING ME UNCONDITIONAL LOVE,FULL SUPPORT,SPIRITUAL COVER,FOR MENTORING ME,UNDERSTANDING ME. SEE ME TODAY🙈 GROWING AND MATURING 🙏🙏RUBBING YOUR GRACE OVER MY LIFE HAS PROPELLED ME TO HEIGHTS! I LOVE YOU NOW AND ALWAYS! MY #HERO #LOVE #SUGAR #COVER #PASTOR #GENERAL 👑TO THE MOST HUMBLE,LOVING,KIND,SWEETEST HUSBAND I COULD HAVE EVER ASKED FOR! Gospel singer Kambua, who also has had a childless marriage recently talked about why she’s yet to give birth. In an interview with The Trend, she pointed out that there have been many who are struggling with infertility. I REMEMBER THINKING,THE REASON WHY IT ANGERS ME IS BECAUSE PEOPLE DON’T EVEN KNOW WHAT YOUR JOURNEY IS LIKE. THEY DON’T KNOW WHAT YOU’RE STRUGGLING WITH. THEY DON’T KNOW IF YOU EVEN WHAT TO HAVE CHILDREN.THEY DON’T KNOW IF YOU CAN HAVE CHILDREN AND THERE ARE SO MANY PEOPLE ESPECIALLY TODAY WHO ARE STRUGGLING WITH INFERTILITY. IT SO UNFORTUNATE THAT WE BECOME SUCH A CULTURE OF BEING SO INTRUSIVE AND PUTTING PEOPLE DOWN. SHAMMING EACH OTHER ON THINGS LIKE THAT. I WOULD WISH THAT PEOPLE WOULD BE SENSITIZED. I HAVE PEOPLE WHO ARE CLOSE TO ME WHO MIGHT NOT BE AT THE FORE FRONT LIKE I AM BUT WHO GO THROUGH THAT EVERYDAY.